The persona site of Nishant Kothary, who live in Seattle with his wife and and pets. 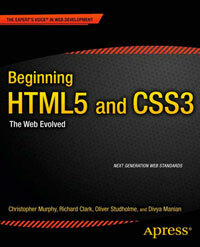 Apart from one section wrapped in an untitled article this site is well structured, and shows a good understanding of the semantics of new HTML5 structural elements. The “Elsewhere” and “From The Journal” areas of the home page are nice clear examples of nested articles in a section. There are a couple of type attributes on script elements that could be removed, and small could be used for the legalese in the footer.